You know me and my Winter skin, I am always looking for something that is going to solve all my dehydration issues. And what sounds best than hyaluronic acid to do that, right? After I first read about this on Caroline Hirons'blog, Beautymouth, and seeing how she raved about it, I knew I had to give it a go. Hydraluron is a hydration serum inspired by injectable hydration treatments employed in Swiss clinics. The mechanism of action of Hydraluron is two-fold. 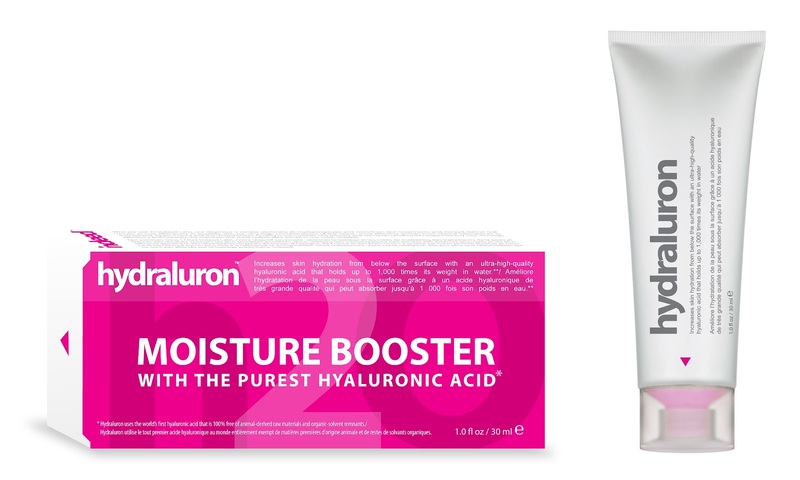 Firstly, Hydraluron uses the worlds purest grade of hyaluronic acid from the Netherlands as it's hydration active. Hyaluronic acid is a superb hydration ingredient that can hold up to 1,000 times it's weight in water. Our pure grade has a microgranule-like powder that features a low density and a polydispersity below 1.5, which simply means greater quality, exceptional safety and extraordinary consistency. Secondly, a bio-engineered strain of marine red algae causes controlled and mild stimulation of skin turnover to allow thorough penetration of Hydraluron's hyaluronic acid. I am not entirely sure I understand it all. I mean, I understand the words, but don't ask me if the ingredient in this can effectively hold up 1,000 times its weight in water, I have no idea how to verify that. Same thing with the secret power of red algae. The product is a clear gel that comes in a small tube. You use it under moisturizer as you would with any serum, but the consistency is definitely gel like and not runny nor liquid. It is not sticky at all, a little bit fresh but not cold, overall very pleasant to use. To be perfectly honest, when I first tried this, I was quite disappointed. I used it instead of my Advanced Night Repair serum, with a bit of moisturizer on top, and I didn't find that my skin was perticularly more plump or felt more hydrated the next morning. Actually, I thought it didn't look as good as when I use ANR. So I left this aside for a little while, until the end of December when I got a cold and the skin around my nose was peeling and red and irritated. On a whim, I decided to sandwich this between my ANR and my moisturizer. Miracle: after only one application my skin was healing well already and after 3 days it was back to normal. Since then, I cannot be without this serum. I still use it between ANR and moisturizer (Estee Lauder is all about layering serums so you can absolutely put something on top of ANR) and it really helps. Right now the temperatures outside are very very cold, and my skin suffers a lot, but this is really calming down the irritation and healing the flaky areas. At £24.99, this is not cheap at all. And you can only get it from Boots in the UK. But if you can get your hands on it, then absolutely do: you will understand what all the raves are about. This simply works, if you find the right combination of products to use it with. My moisturizers are always very light so that might be why the ANR was needed here. Too bad the tube is only 30ml, I wish it was bigger (but it would be more expensive too). I can't be without this either! I really notice a difference in my skin if I forget to use it. Amazing and terrific value. Awww....its really kinda pricey. But upon reading your reviews about it, it sounds like a great product to try out. I am having problems with my dry skin lately so hope this will help. I would really love to get this product because I think it's going to help my skin really well. But I live in The Netherlands and it's not available in my country and Boots doesn't ship to us as well... Don't know what to do because I need to get my hands on this product!! I asked a friend in the UK to buy it for me and send it over. If you go to beauty and makeup forums you might be able to find someone there who could do that for you too?